A healthy and happy community is a goal that many strive to meet. We believe that it is important for our community to stay fit and be active. At the annual run4health runners/walkers make their way around town in the 10k run, 5k walk/run, 1k family walk/run. The event also offers a Team Challenge, where teams of 4 or more collect pledges, create a unique team name, and dress in team appeal. Grab your running shoes and come run alongside us at the next run4health event. 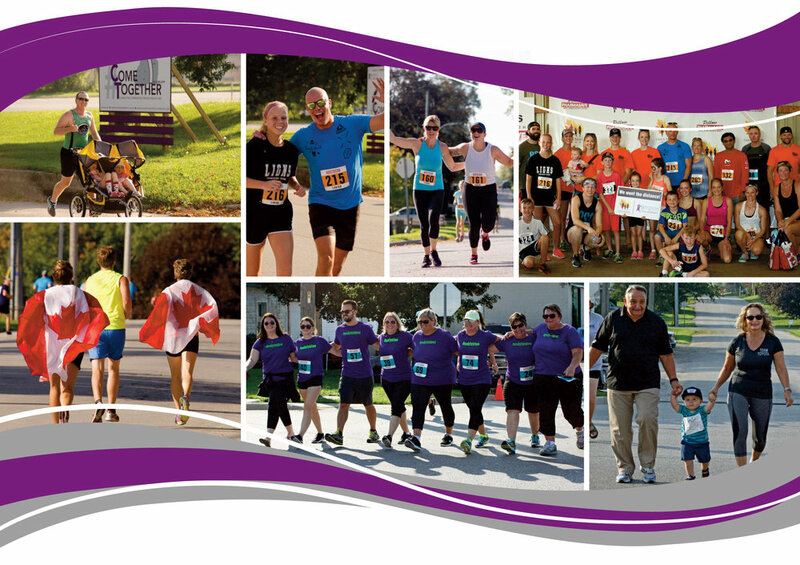 The 9th Annual Run4Health will take place on Sunday, September 22nd, 2019 at 8:00am at the Walkerton Agricultural Building. For more information on this event and for registration details, please visit the Run4Health website. We hope to see you out at this wonderful event! Be active, be healthy, be a health care hero! We would like to offer a special thank you to all those who have participated in the Run4Health and also to all of our sponsor and volunteers who make this day run smoothly.